Your wedding day is one of the most important and memorable days of your life. For that reason, there are several detailed plans that need to be made for this very special day. The wedding organizer will be keeping in mind several features to make your wedding ceremony successful and beautiful. One of the most important factors to keep in mind that will make your wedding ceremony seamless is a limousine or party bus. A pleasant and elegant transportation arrangement ensures that the couple and possibly their wedding guests arrive in a luxurious limousine or party bus to the wedding venue in comfort and style. To get the desired wedding arrangements and arrive at the ceremony on time, a dependable and experienced limo or party bus rental company needs to be hired. Raleigh Limousine and Party Bus Rentals is one of the best and most popular luxury car services in Raleigh and its surrounding areas! We love weddings and look forward to helping you make your special day unforgettable. Raleigh Limousine and Party Bus Rentals presents a unique opportunity for individuals who are planning a wedding. 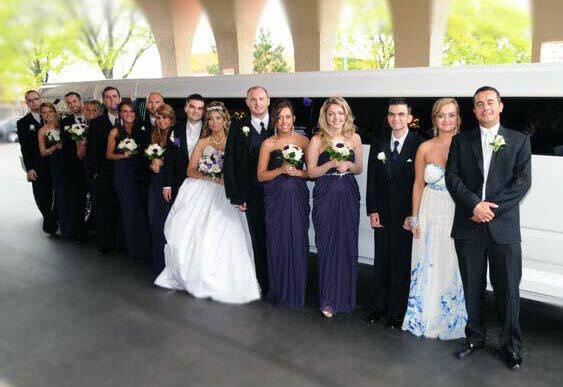 Our limo and party bus service can take the bride, groom and other family members from the hotel to the wedding venue in style with many different accommodations. 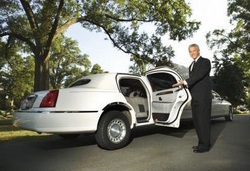 Due to our past experiences in wedding transport we know the routes to the most luxurious venues like The State Club and Sheraton Raleigh Hotel. Our chauffeured transportation can help you in reaching the wedding venue according to the time you need to be there. Our service staff can arrange the amenities that are needed inside the limousine to make your wedding the most memorable it can be. The music system in our limousines can be set according to the preferences of our clients. If a party bus needs to be hired, then our car amenities can be adjusted to fit your sense of style. We will ensure that all the amenities you need, such as snack and beverage/cocktail bars, are present in your wedding party bus or limousine for you and your guests. Most of the weddings that take place in Raleigh and its surrounding areas follow a particular theme. Vintage wedding is one of the most widely used wedding themes in North Carolina. There are many places in Raleigh like the Country Club and North Hills Club that can support themed weddings for our clients. We can decorate the chauffeured transportation that you choose according to your wedding theme preferences. Our fleet has many different limousines and party buses to choose from as per the look and style that you the client desire. To make the wedding arrangement memorable, it is important that our clients give us specific details of their wedding theme. If we have the elaborated points then it is easier to place the appropriate flowers and other decorative items in the limousine or party bus for you. Your music playlist can be given to us and we can set the stereo system so that your favorite songs are played when your guests are seated in the limousine or party bus. Our drivers are qualified and trained to navigate different routes to your wedding ceremony with ease for you and your guests. Our luxury vehicles are licensed and insured, and have regular maintenance checks to ensure your party's safety when you're out for a night on the town or around the city. Our services will help make your wedding day remarkable and extraordinary with class, elegance and style! Just fill out the form at the top right of the screen for a quote or call us directly to get started right away in planning your wedding's limousine services. The best part is that our party bus and limo services are affordably priced for your special day! call us today to book the best wedding limo or Party Bus raleigh nc can give you!